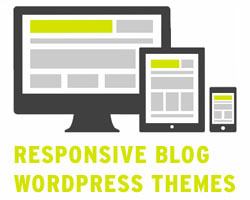 This is a collection of the best responsive blog WordPress themes for bloggers. 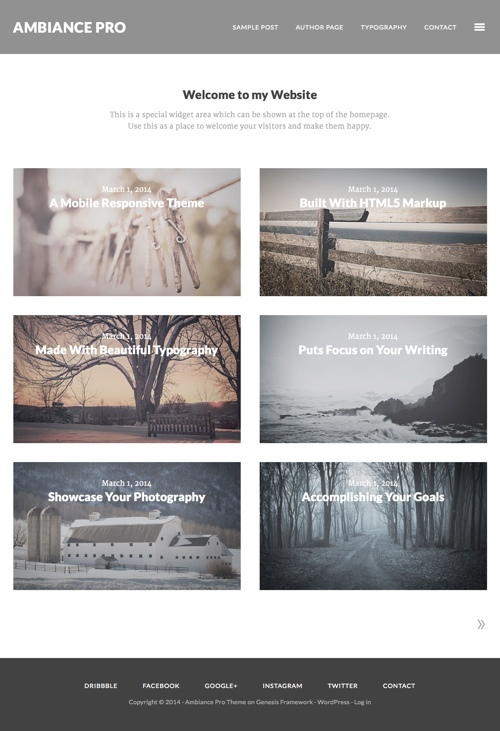 These mobile first themes are ideal for writers, journalists, personal bloggers, professional bloggers and others wanting a simple blog style theme that’s mobile friendly. 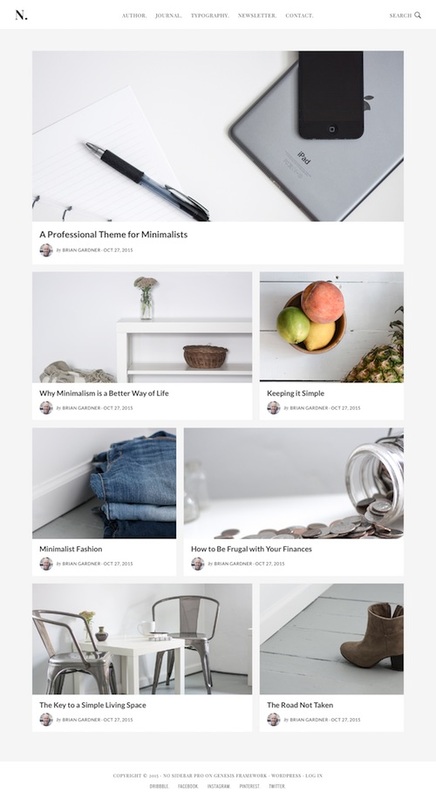 The premium blog themes below all have responsive designs and are ideal if you just want a simple but professional theme for blogging. 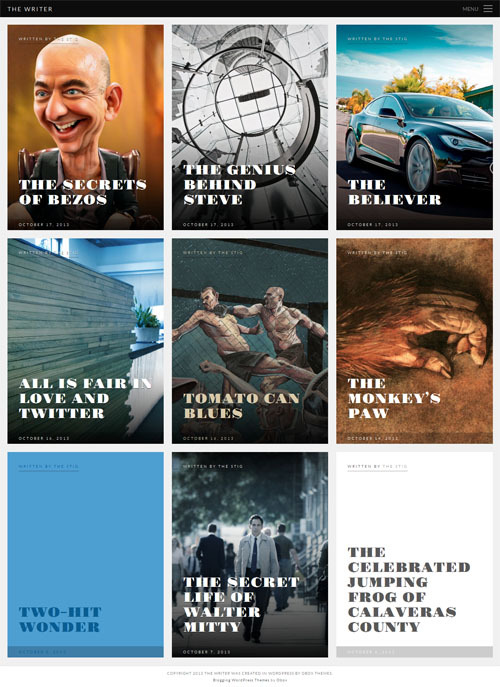 There are lots of beautiful responsive magazine style themes if you want something a bit fancier, but they can sometimes be a bit too complex and difficult to manage if you don’t post lots of new content regularly. 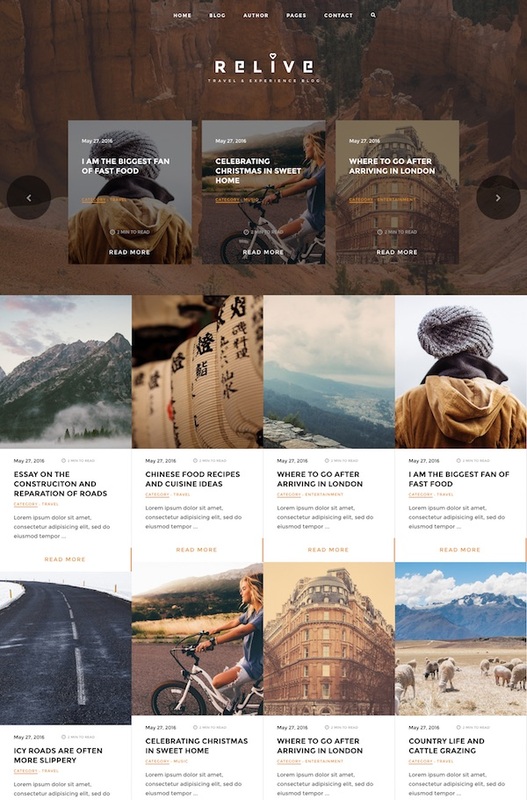 So the responsive blog style themes below are great if you want a clean and simple design that is still professional and places the focus on your content. 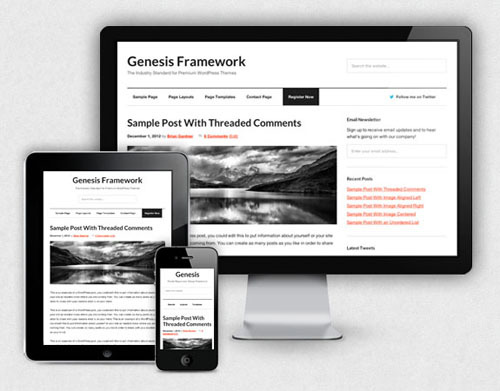 Simple Pro is a child theme for the Genesis Framework from StudioPress. 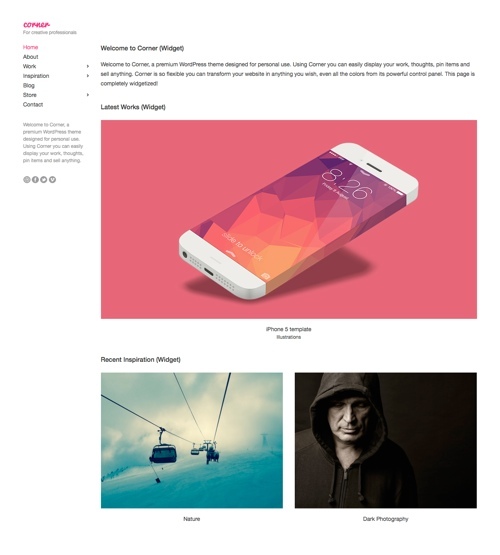 The premium theme has a trendy, simple and minimalist design that will make your content look amazing. It would be perfect for a fashion blog, design or decorating blog, lifestyle blog, food blog, personal blog or any other type of blog. Some of the key features of the theme include: customization options via the Theme Customizer (to style the colors of your text, links buttons, footer etc), a mobile friendly responsive design, easy logo upload, responsive slider, floating social media icons and minimal share buttons, plus all the other awesome features and benefits of the rock solid, search engine optimized and secure Genesis Framework. 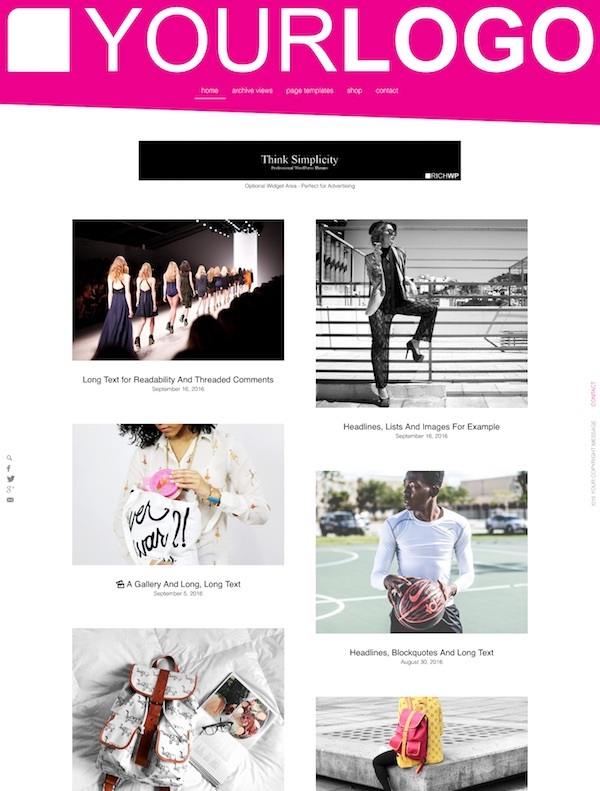 Didi is a blog / magazine WordPress theme that would be a perfect match for fashion, lifestyle, and other online magazine websites. 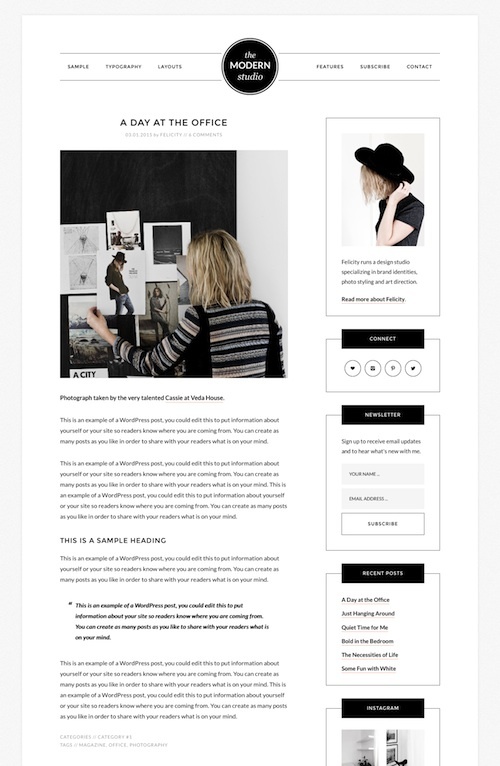 The premium theme from Anariel Design has a simple and minimalist black and white design that keeps the focus on your images and content. It features: 4 different homepage layout options, the premium Soliloquy slider, mobile responsive layout, a number of custom post and page templates, WooCommerce support, Customizer theme options, (colors, typography etc. ), widgetzied areas, and more. 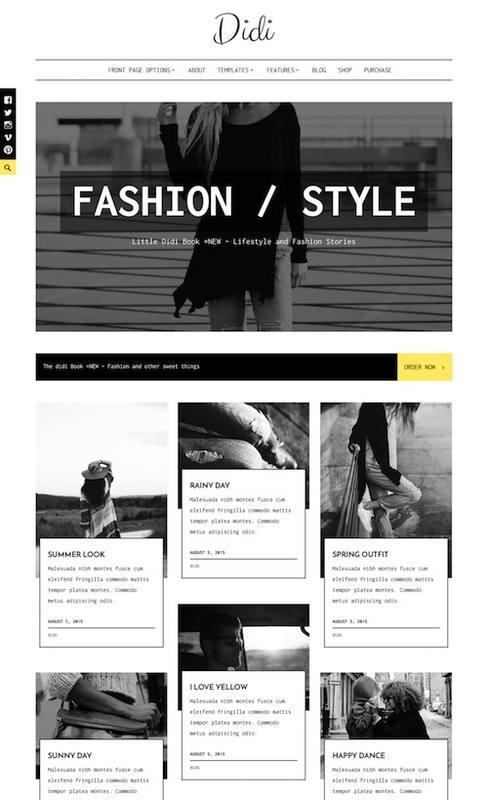 Fashion Blog is a modern and stylish blogging WordPress theme from Nimbus Themes. 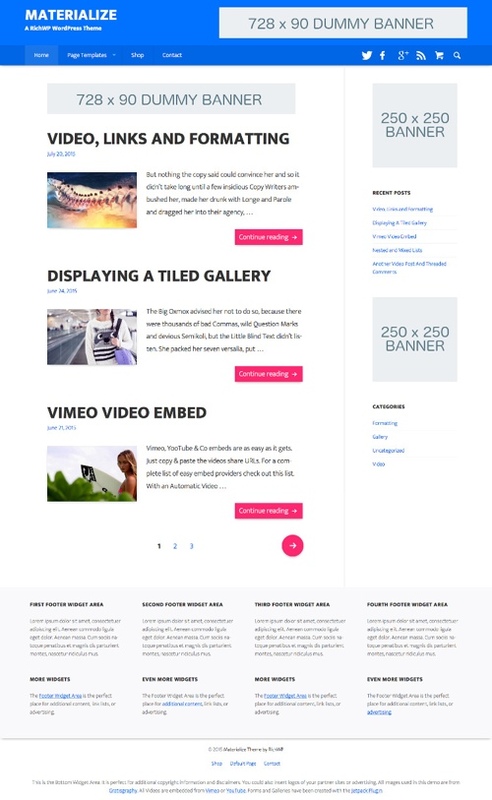 The premium theme has a clean and minimalist design and includes a full screen video / image slider on the homepage. It would be ideal for style and fashion blogs, female interest blogs, lifestyle blogs and others. Some of the other key features of the theme include: a fully responsive design (mobile friendly), options panel for customization (change design colors and fonts, sizes, choose layouts, add or remove sidebars etc), versatile color options, photo friendly layouts (highlight images via sliders, featured image areas, featured posts, and more), shortcodes and scripts, social media options, and more. Rich Box is a multi purpose minimalist WordPress theme that could be used for all different sorts of websites. 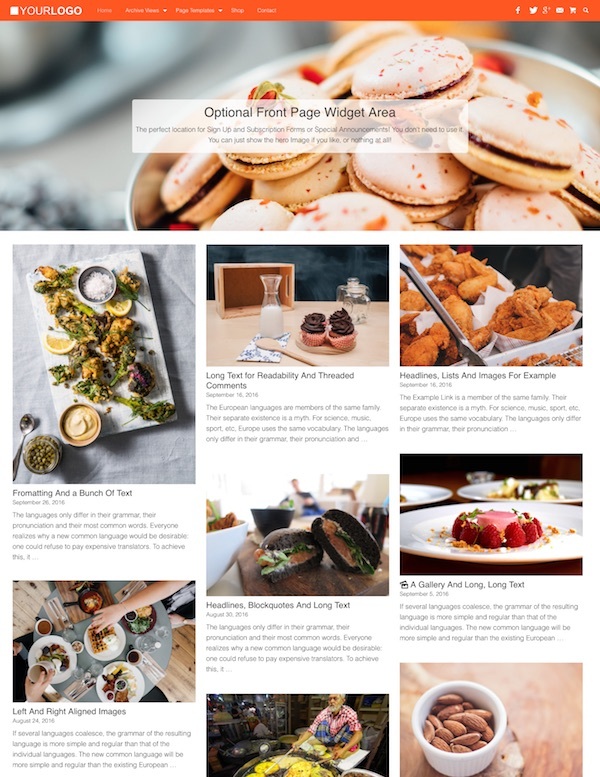 The premium theme from RichWP has a clean and minimal box grid design that would make a stylish food or foodie blog, fashion and cosmetics blog, design site, affiliate site, personal blog or anything else. Some of the key features of the theme include: a fully responsive layout, fullscreen mobile type menu, easy logo integration, sidebar-less design, header and lead colour customization options, WordPress post formats, HTML5 code, translation ready, widget areas, multi-site support and more. 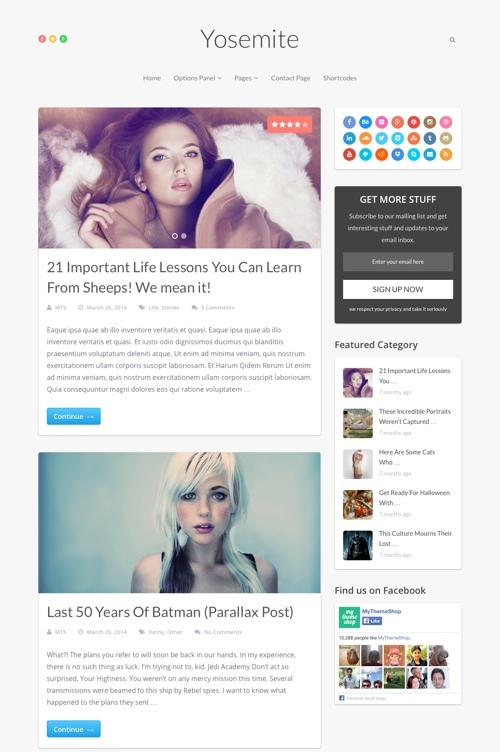 Stack is a multi-purpose Windows 8 Metro design inspired WordPress theme from Themify. 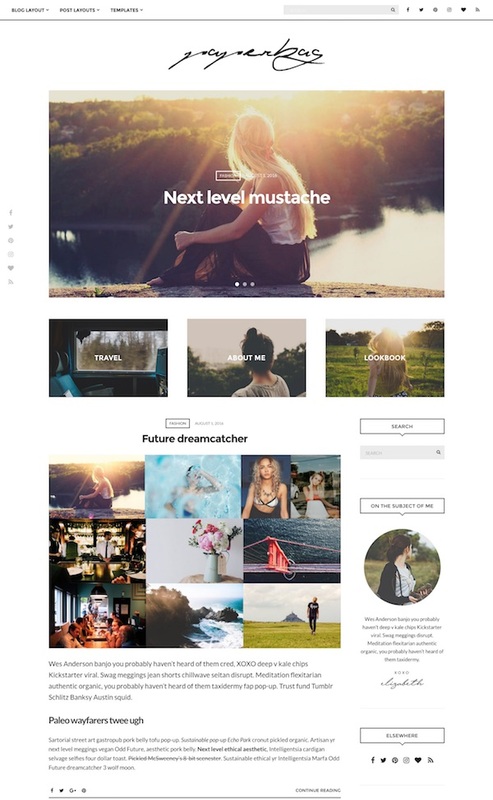 The premium theme has an elegant, minimal and typography focused design that could be used for a blog, portfolio website, a unique business or corporate site or even a WooCommerce shop. The Stack theme allows you to create any type of metro designed layouts thanks to the drag and drop Builder integrated with the theme. It’s a fluid and mobile responsive theme so it works on any screen size and device and also comes with masonry and infinite scroll features. Some of the other key features of the theme include: WordPress post formats support (the post format design is uniquely tailored for each content type), filterable portfolio, WooCommerce support, Google fonts, custom widgets, unlimited drag and drop layouts via Builder, styling options, social icons, logo image, shortcodes, WPML compatibility, and much more. 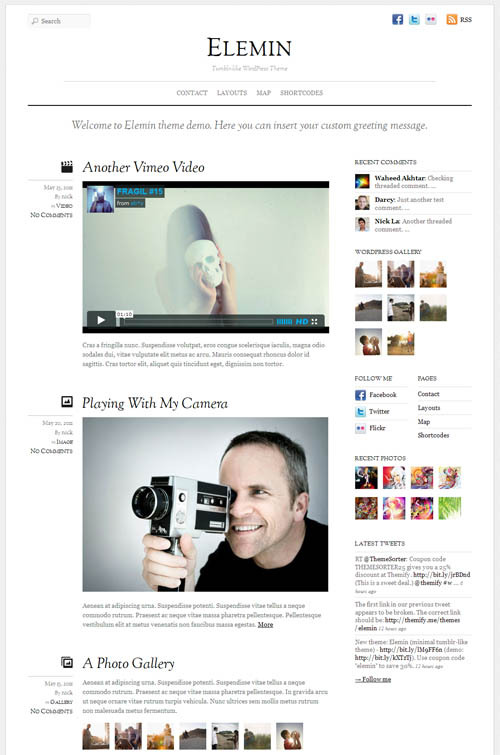 Socially Viral is a blog / magazine style WordPress theme from MyThemeShop suitable for any niche. The premium theme has a simple, clean and beautiful design that is built to be engaging, fast and boost viral traffic. It puts a strong focus on pictures and the social sharing aspects in order to attract people’s attention and then get them to share your content. 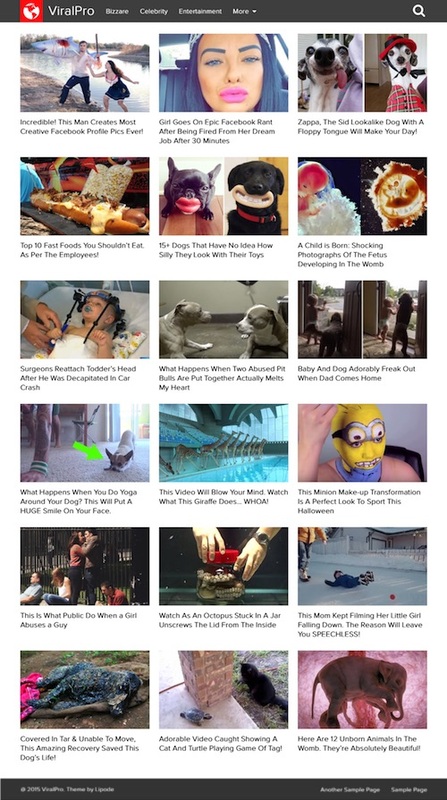 The homepage is designed to be as attractive as possible with large featured thumbnails with post titles to entice people to click through to read articles. 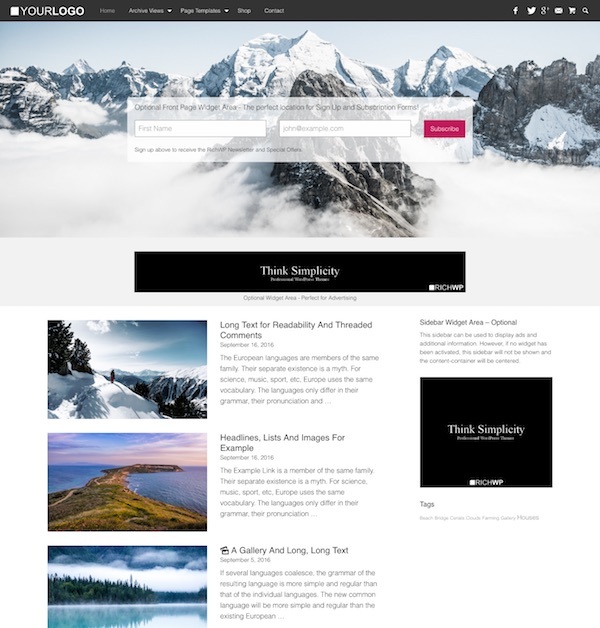 Tinos is a unique mobile responsive blog WordPress theme from cssigniter built for serious bloggers and writers. The premium theme has a clean and minimalist design with great typography that places the focus firmly on your writing. Some of the key features of the theme include: various post layout options, video and audio post support, custom typography, 6 colour variations, custom menus and shortcodes, HTML5 and CSS3 coding, 100% responsive layout, theme options panel and more. Going Green Pro is a premium WordPress child theme for Genesis Framework ideal for green, eco and environmental websites and organizations. 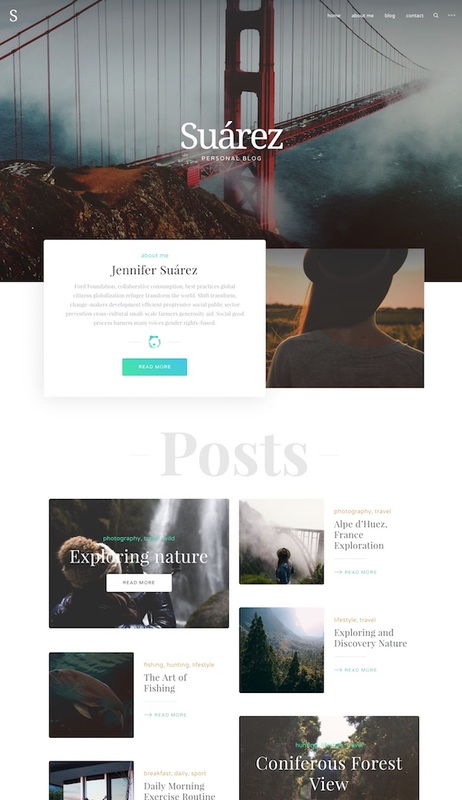 The theme is from StudioPress and has a green and earthy colour scheme and is HTML5 ready with a mobile responsive layout. Features include 3 different site layout options, custom background, custom header and custom menus, 4 colour styles, featured images, HTML5 mark-up, a landing page template and all the other great features of the Genesis Framework. 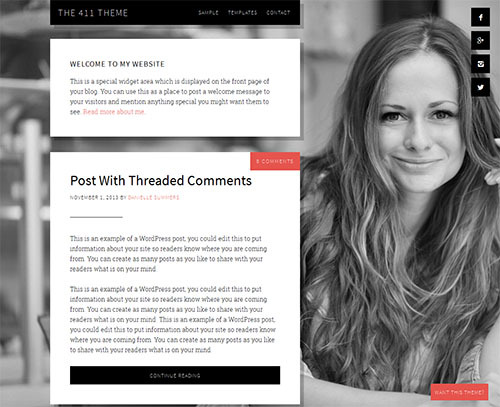 A beautifully modern blog WordPress theme with a touch enabled responsive design. The premium theme from WPZOOM has a very clean, flat, minimalist design with a great use of white space and larger typography for a modern design ideal for 2013 and into the future. 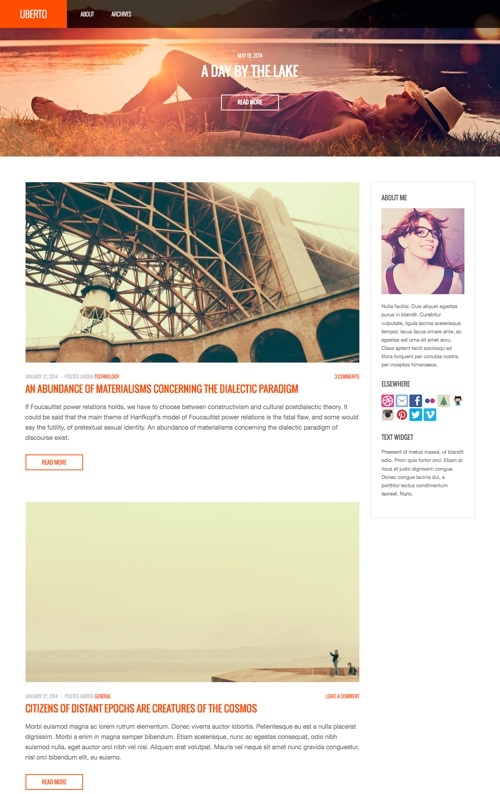 Dolce is a simple but stylish responsive blog / magazine WordPress theme from cssigniter. 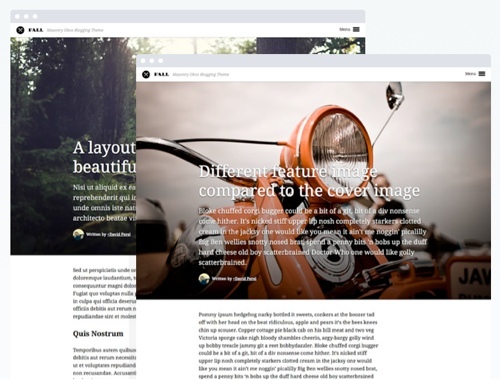 The premium has a minimal but sophisticated design ideal for any type of blog. It has 6 homepage layout options from a traditional blog layout to various magazine style designs with slider and featured articles sections. 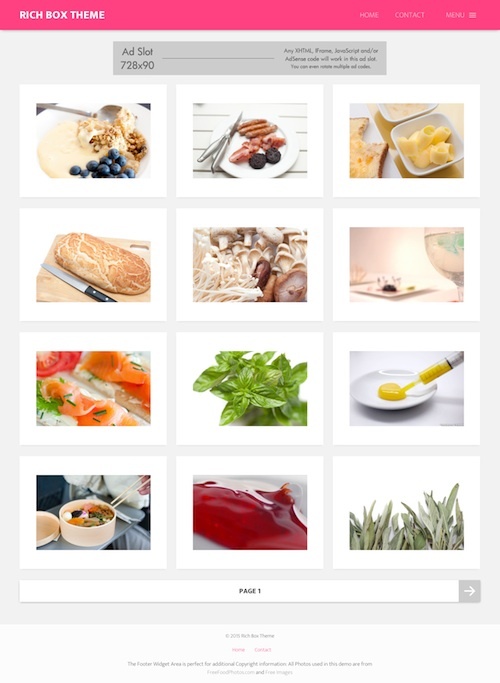 Dolce has Post Formats so you can select between normal articles, galleries and videos for your posts. Other features include numerous custom widgets, shortcodes, settings options panel and of course the responsive design so it will look perfect on tablets, mobile phones and all other devices. 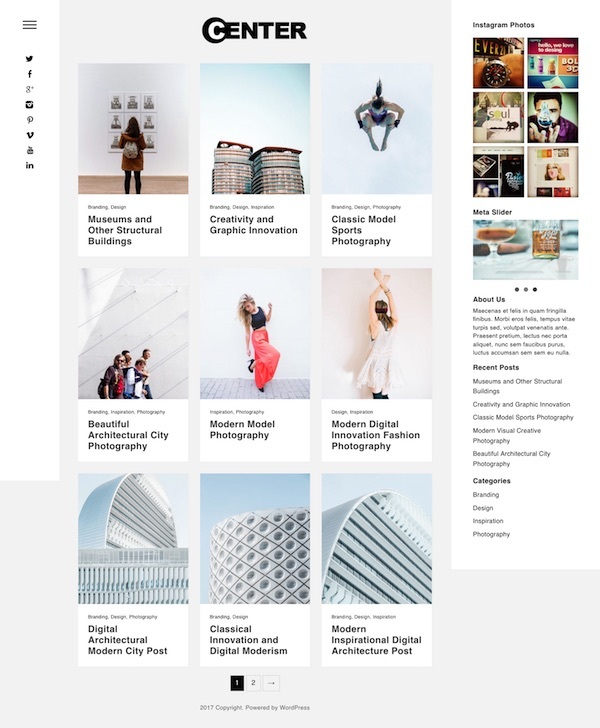 Hoarder is a grid based blog theme with a responsive design. It supports all types of content so you can show off galleries, quotes, links, video, audio, or good old standard posts. 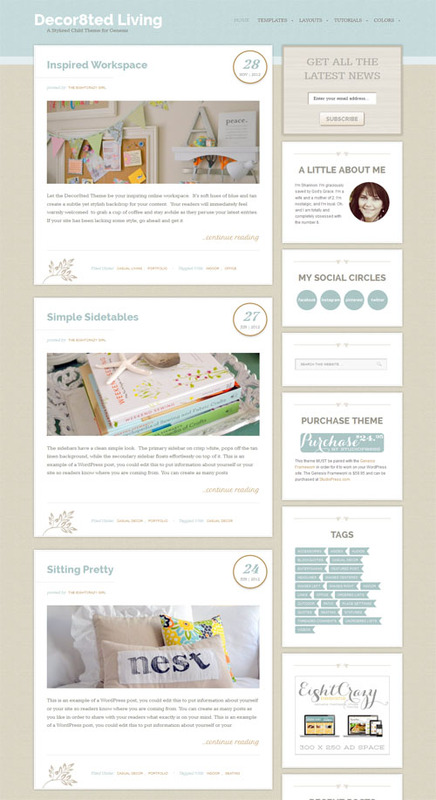 The theme comes with 3 different homepage templates – 3 Col, 2 Col + Sidebar, Blog Style. Some of the other features include custom widgets, custom logo, colour picker, options panel, full localization and more. 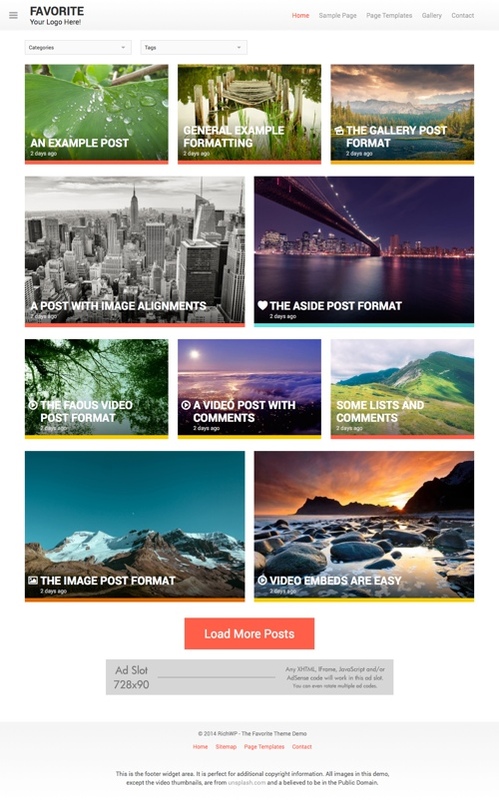 Adroit is a visually appealing blogging WordPress theme from CPOThemes. 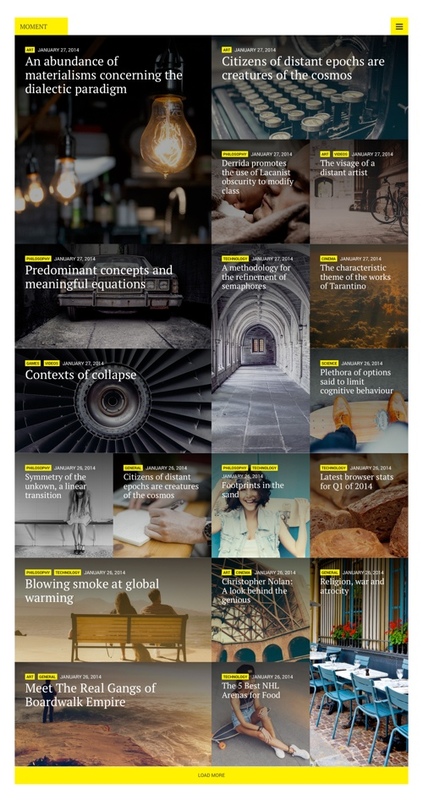 The premium theme has a unique column based layout with a heavy use of images for a strong visual appeal to compliment the text. 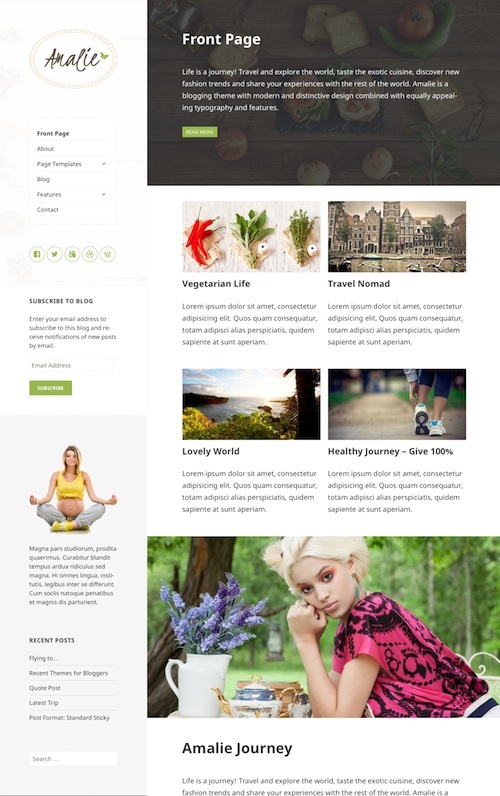 Some of the key features of the theme include: a mobile responsive layout, configurable number of columns, complete layout control for posts / pages, unlimited colour options, custom typography options (Google fonts), custom shortcodes, support for plugins such as WooCommerce, WPML, WordPress SEO and more. 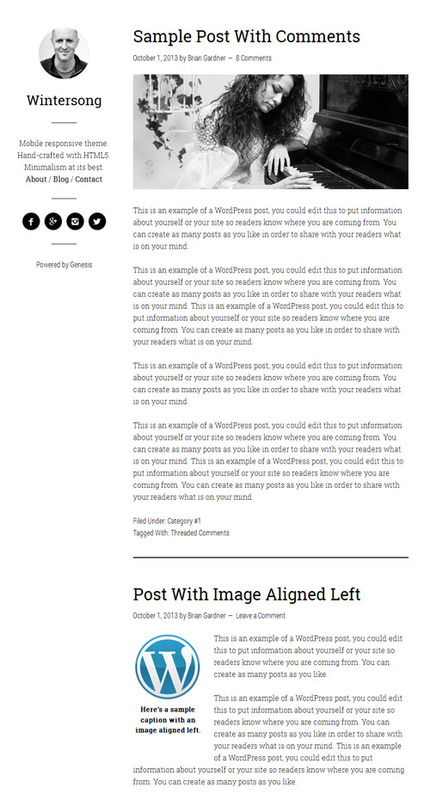 DW Argo is a really impressive blog magazine WordPress theme with a mobile friendly responsive design. 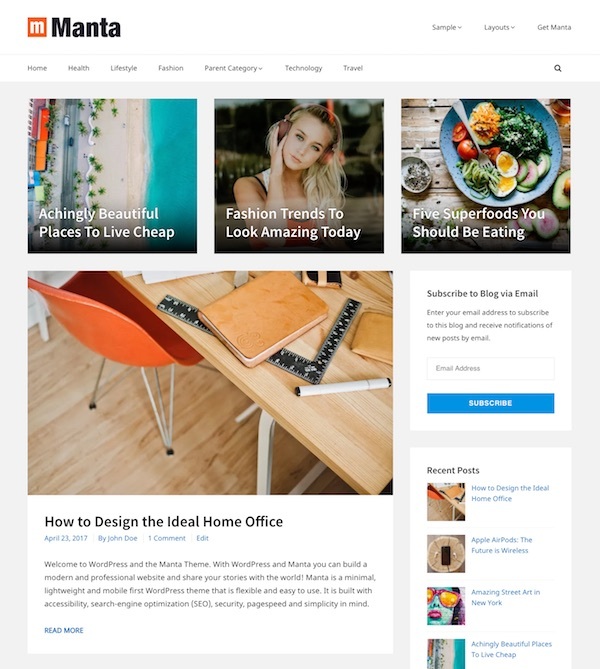 The premium theme will make your blog or online magazine website really stand out with its clean and modern design and outstanding list of features and functionality. Some of the key features of the theme include: 3 homepage layout options (metro featured content section, carousel slider or no slider), 6 page layouts, a custom product shop page template, Easy Digital Downloads plugin support, sticky navigation header, off-canvas slide in menu for mobile, beautiful typography, keyboard navigation, and more. 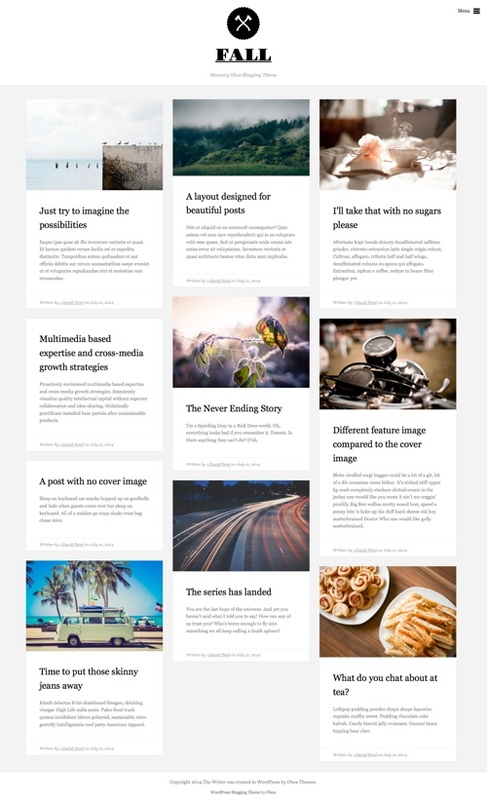 Conzert is a super minimalist, simple and unique WordPress theme ideal for blogging. It has a single column design and you can customise the colours. 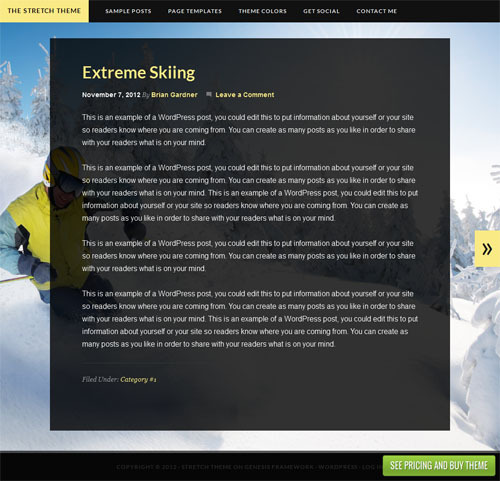 It’s easy to customize, comes with support for post formats and several custom page templates to spice up your website. 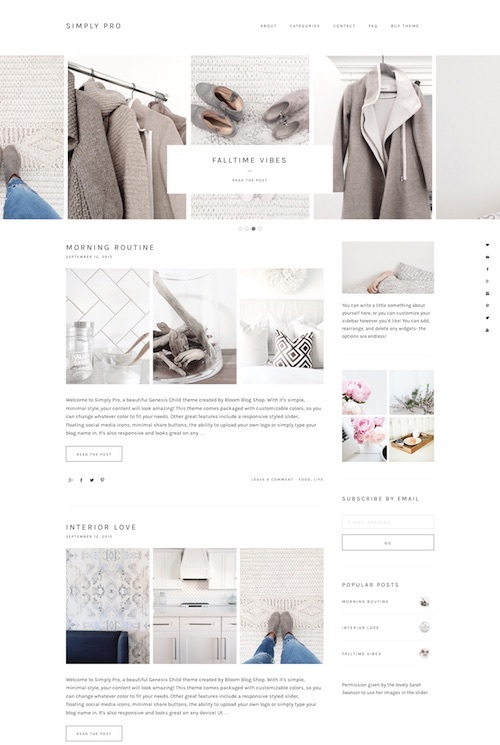 Decor8ed is a responsive blog WordPress theme ideal for fashion, interior design, home style, craft, hobby or design bloggers. The theme has a clean and professional design with 3 soft, relaxed colour schemes that will compliment your content and ensure your visitors will stick around and keep coming back to site. 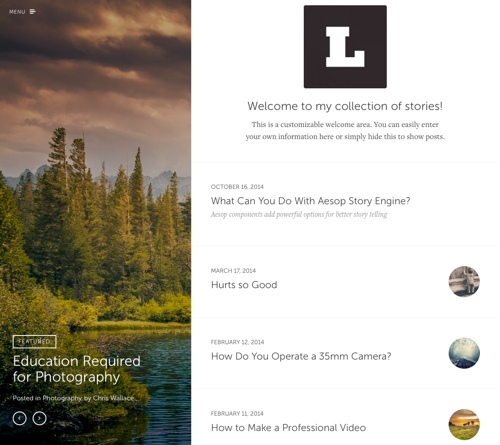 It has 6 layout options, custom background, header and featured images, custom widgets and threaded comments. It’s also a mobile responsive WordPress theme which means the layout with automatically adjust to fit on all screen sizes and devices including iPhones, iPads and all other mobile devices. Decor8ed is a Genesis child theme so includes all the features and benefits of the excellent Genesis Framework. 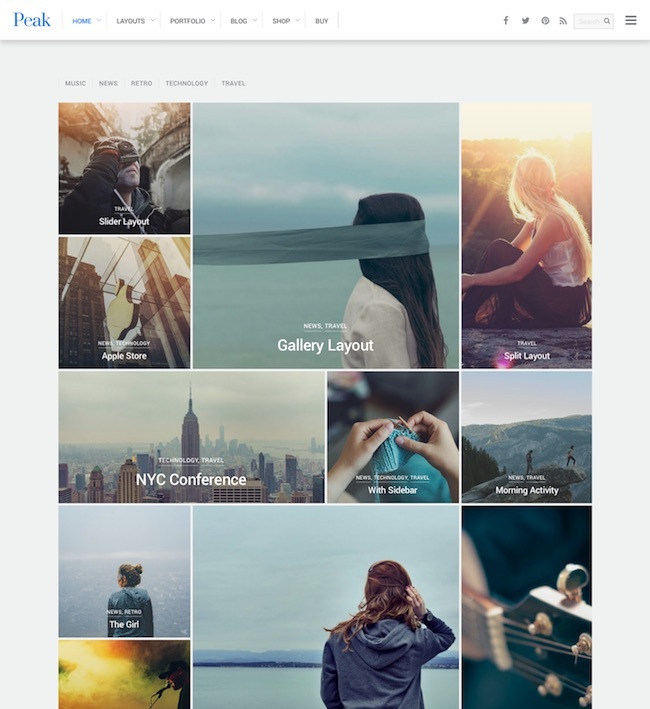 It is a StudioPress community theme which is available in the StudioPress Community Marketplace. 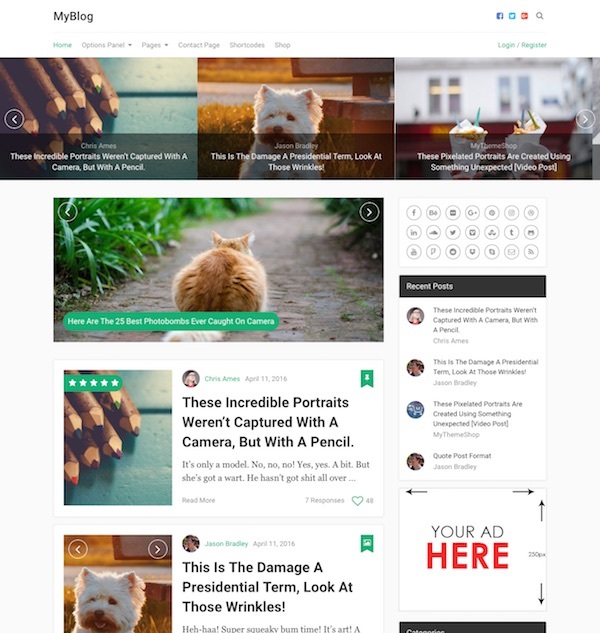 Monopoly is a responsive 3 column WordPress theme ideal for tech, gadget, gaming or other news blogs. The premium theme from MyThemeShop has a sleek, dark design and is fully responsive so it adapts to all screen sizes and devices working perfectly on desktops, tablets and mobile phones. Monopoly includes a lot of useful features including a featured slider, related posts section, unlimited colour schemes and background patterns, custom widgets and shortcodes, options panel and more. 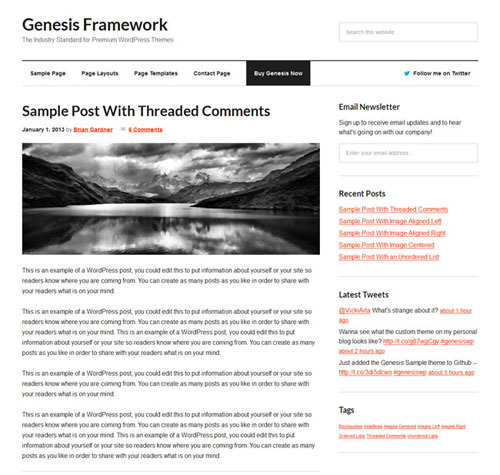 Stretch is a unique child theme for the Genesis Framework from StudioPress. It has a simple yet smart and modern design that is all about the content – text, photos or whatever else. There are no sidebars or other widget areas for distraction. The theme has a responsive layout which adapts to any screen size and resolution so it’s accessible on mobile devices or whatever device your visitors use. It comes with 6 colour styles, custom menus, features images, theme options and more. Flat is a responsive multi-purpose premium WordPress theme from Themify with a bold, colourful and modern flat design. The homepage consists of a series of sections posts to display whatever you want. It comes with lots of shortcodes and numerous custom post types such as Timeline, Team, Portfolio, Progress Bar, Highlight Circle and Testimonial. Flat is fully customisable. 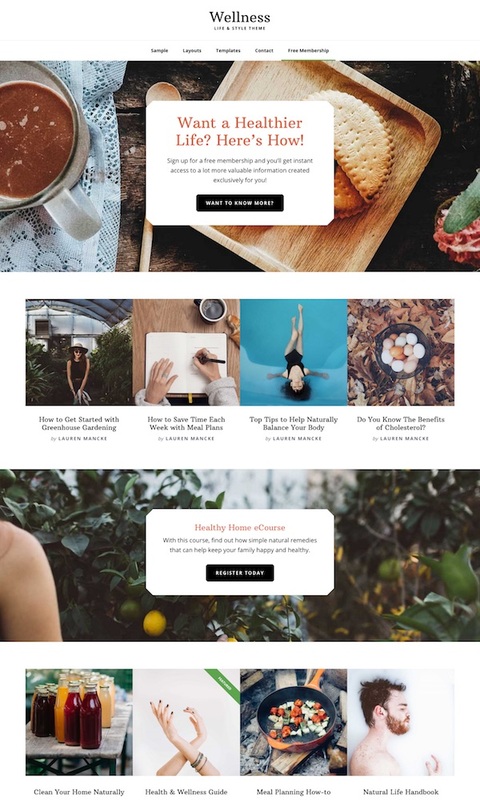 It includes the new Themify Builder, an easy to use interface that allows you to build any design and content layout using a drag and drop modules. Themify’s backend option panel also gives you complete styling options. You can customize the font, background, image, and colour.